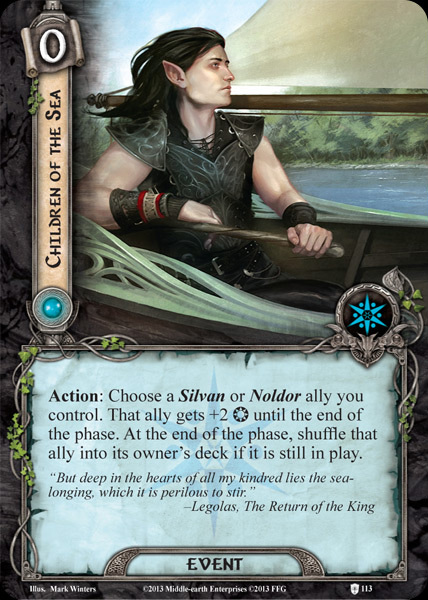 Action: Choose a Silvan or Noldor ally you control. That ally gets +2 until the end of the phase. At the end of the phase, shuffle that ally into its owner's deck if it is still in play. "For deep in the hears of all my kindred lies the sea–longing, which it is perilous to stir"